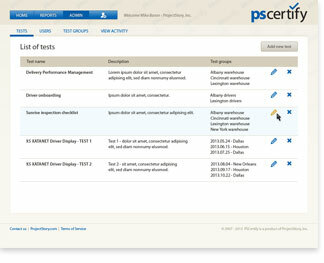 PSCertify hired us to redesign the UI of their online testing and certification web application. 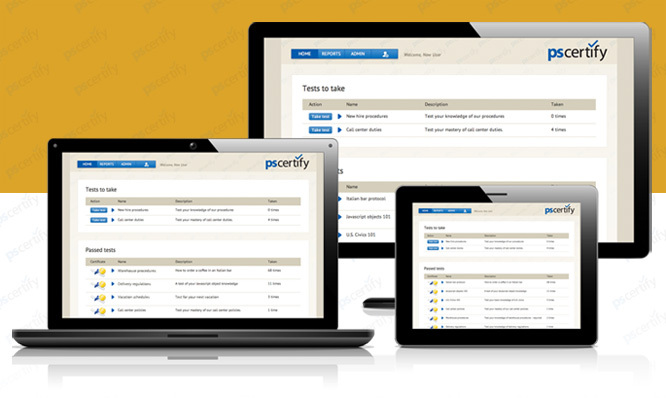 For this project we designed, programmed, tested and launched version 2 of the PSCertify web application. What did we do for this web application UI project? As usual, just about everything: user research, information architecture, UI sketches, visual design, coding, testing and launch of the application. 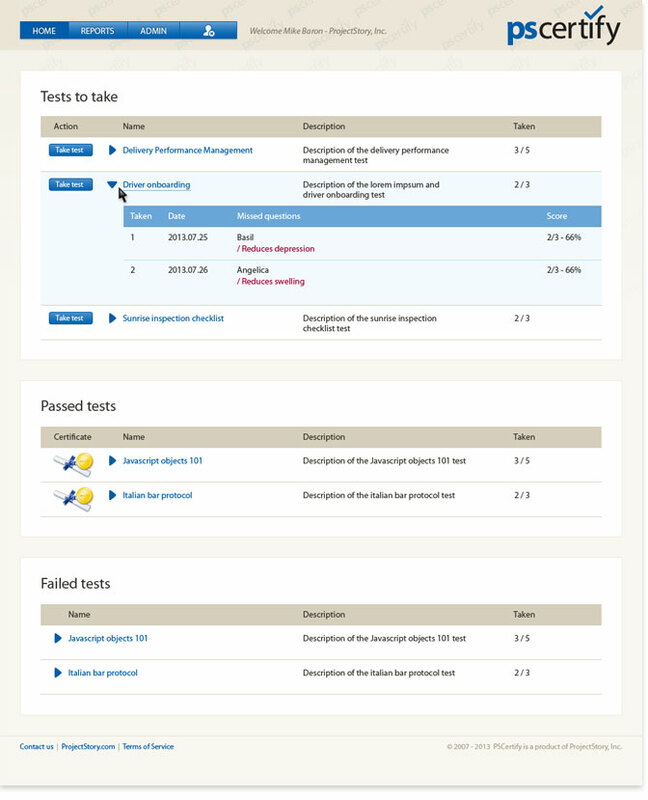 This application allows users to create and administer online tests and it requires all the usual UIs. 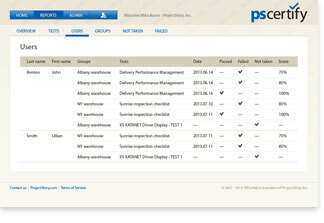 It has both an end user component an an administration section. So we had the usual challenges of creating a UI with a lot of features but also keeping it very simple and easy to use. You don't have to take our word for it, just create a free account and give it a try. 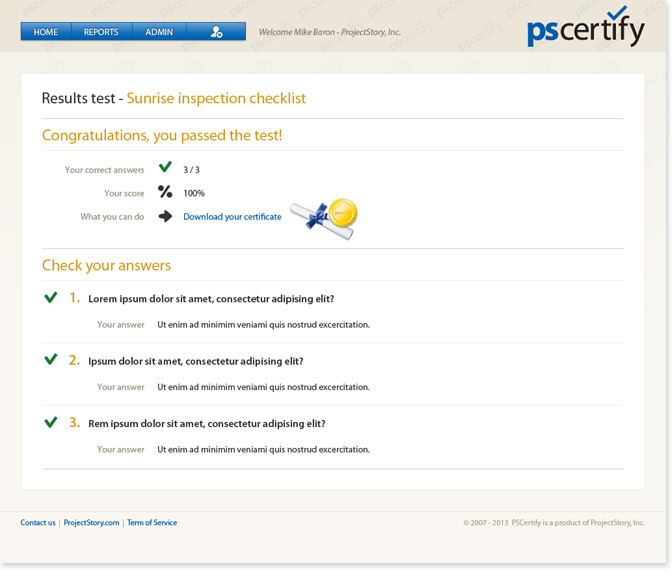 You might find that it's very useful to create online tests for your business. 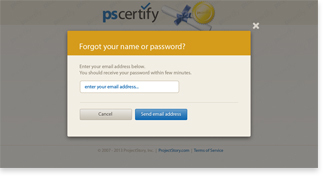 Just go to the pscertify.com site and sign up for a free trial. 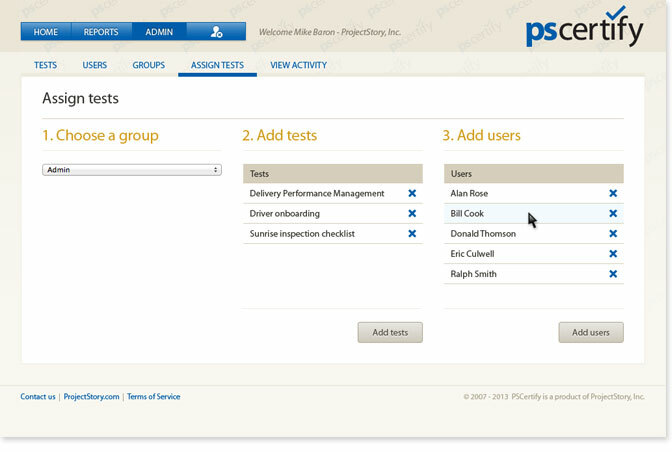 Then you can try out the UI we created to see what you think of our design effort. 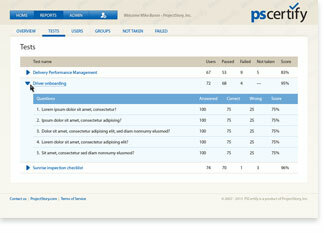 Screens from the user and admin sections of the application. 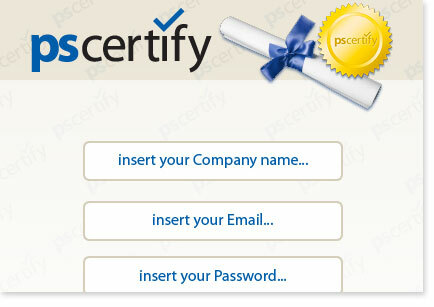 Website design for the PSCertify web application. A simple one-page layout and clear typography introduce the application and its features.